There’s no telling how or when an accident may occur. But when it does, it can cost a great deal in lost wages, hospital bills, and physical therapy – costs your church may not be able to pay. It is a comprehensive, no-fault approach to provide compensation and medical care to employees injured while working, relieving employers of liability from lawsuits involving negligence. In most states, churches are required to carry Workers’ Compensation Insurance for their employees. 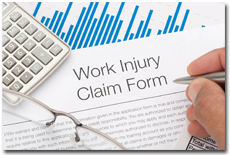 Even where not required, worker’s compensation generally must be paid. Failure to pay state-mandated benefits can lead to costly fines or the possibility of legal action by an injured employee.